Hands Across The Valley was founded in 1994 when George Altamura learned that the Napa Food Bank was running out of money. He and other leaders in the Community, decided to come together to do something about the situation. Upon investigation, they discovered some surprising statistics: The Food Bank was still serving hundreds of individuals and families each week, but funding from the Federal government was being reduced. The First Presbyterian Church in Napa was providing a hot meal six days a week to over 100 individuals and families. The Salvation Army was doing the same. A group of citizens in Calistoga was feeding fourteen families every day and had a waiting list. Meals on Wheels was serving over 100 frail, elderly or disabled housebound individuals each day. These numbers did not include the over 2,000 families and their children in the Valley who were receiving aid at a standard below the Federal poverty guidelines. In the midst of opulence and wealth in the Napa Valley, it became obvious that hundreds of people were going hungry every day. George began a campaign “to do something about hunger in the Napa Valley,” and a committee was formed to stage a fundraising event. They had no idea how the community would respond. 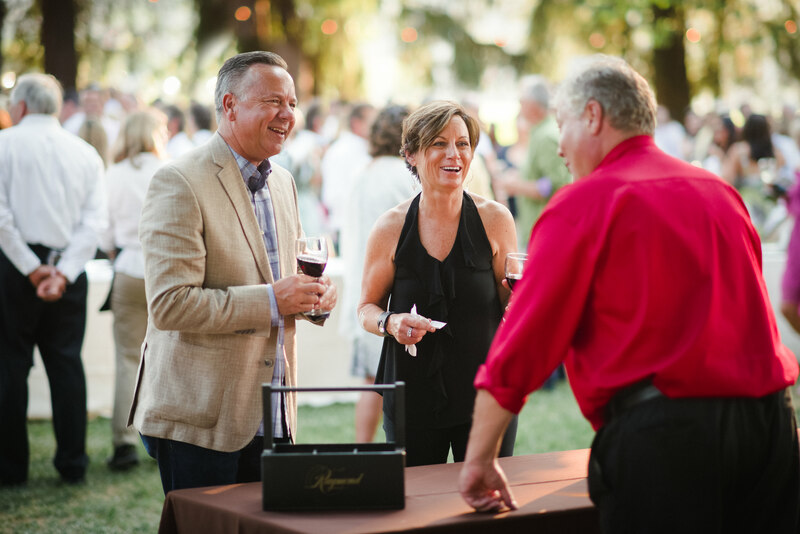 To everyone’s delight, over 500 guests showed up for the inaugural event held at Bistro Don Giovanni Restaurant to join Linda and Johnny Miller, 49er legend Steve Young, Eleanor and Francis Ford Coppola and other community celebrities “to make a few pizzas and share some Napa Valley wines”! The next year, Eleanor and Francis Coppola hosted the event at their home in Rutherford. Celebrities from the world of sports and the silver screen were again on hand to join over 650 guests. The benefit gained wide Bay Area coverage and sold out far in advance. 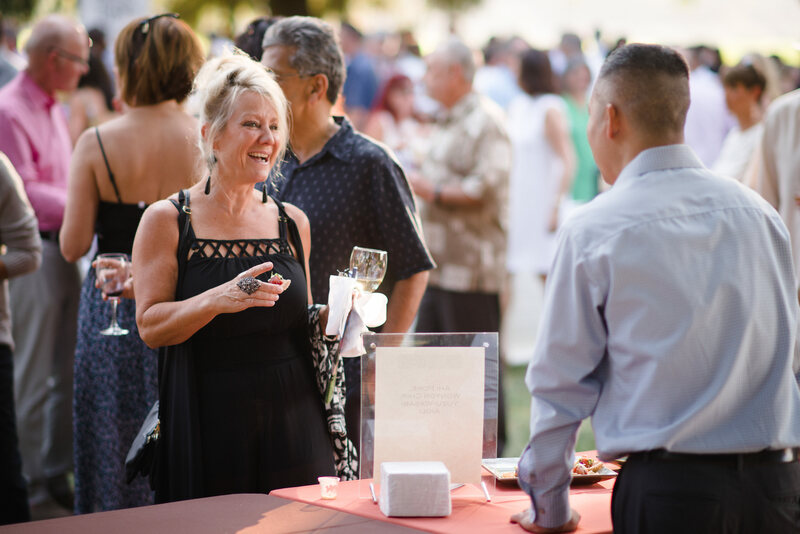 In 1996, because of the event’s tremendous growth, the Coppola’s agreed to move the benefit to their newly acquired Niebaum-Coppola Estate Winery in Rutherford. 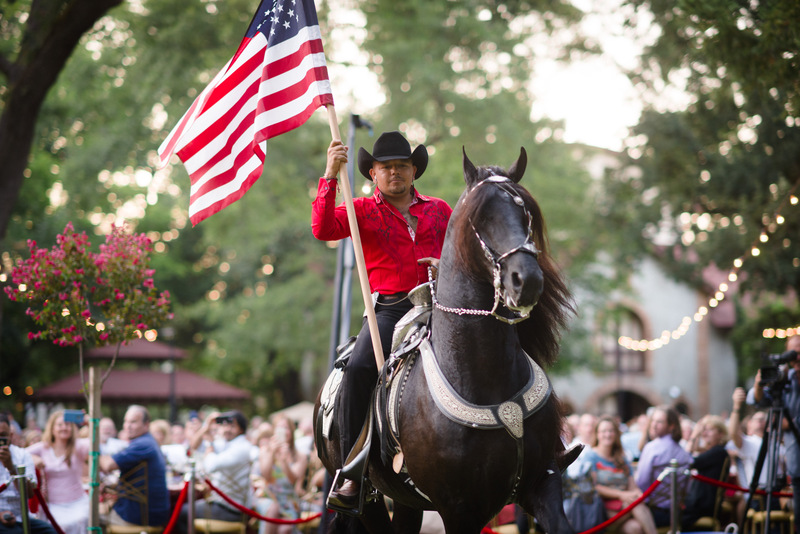 Over 1,000 guests enjoyed Napa’s finest food and wine, celebrity pizza tossing and dancing under the stars. 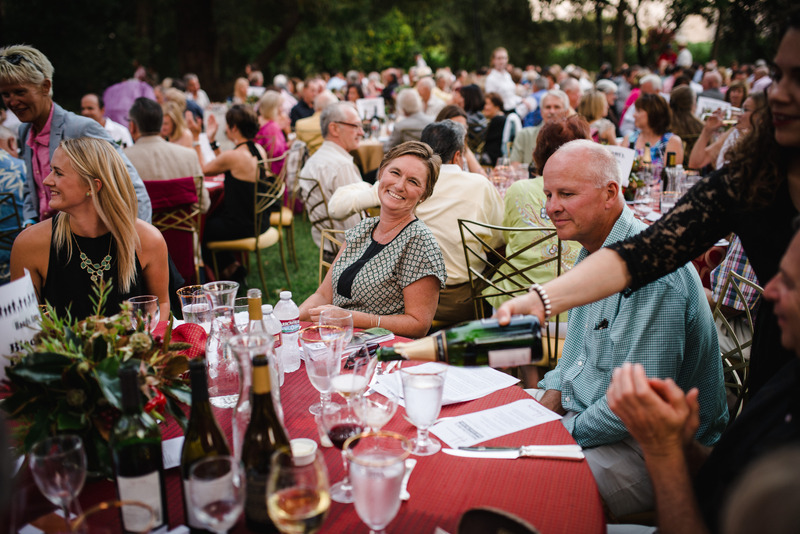 In what has now become a much-anticipated annual event, Hands Across The Valley has succeeded in raising well over $2,000,000 to benefit Napa Valley’s Safety Net Food programs. Hands Across The Valley is a registered 501C-3 non-profit organization. specifically for the safety net food programs in Napa County. 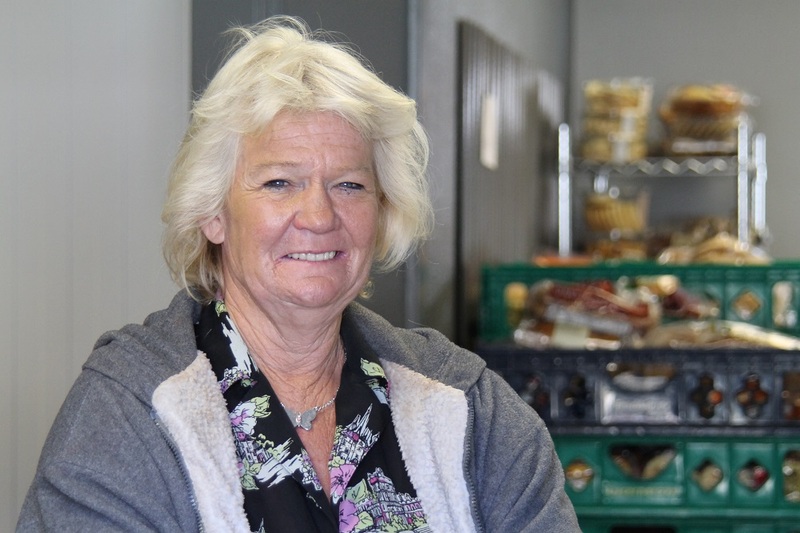 The Napa Valley Food Bank provides a variety of nutritious food to low-income individuals, families, seniors and through 41 non-profit organizations throughout Napa County. The ongoing need for this program continues to rise. In 2015 the Food Bank served over 45,000 individuals, distributing over 1,620,000 lbs of food, many of them working families with children (nearly 40% of the Food Bank clients are children under the age of 18) and we anticipate those numbers to be even larger this year. Servicing Senior Nutrition and Disabled Persons, this organization delivers nearly 500 meals per day throughout Napa County. The waiting list is growing along with the price of food, gas and supplies needed to distribute the meals.The 2014 earthquake has expanded the food needs of the working poor and Seniors. Many lost ovens or microwaves during the earthquake so weekend meal delivery has been doubled, and the closing of the quake damaged Safeway Store has impacted our Seniors who have no access to a large downtown grocery store. 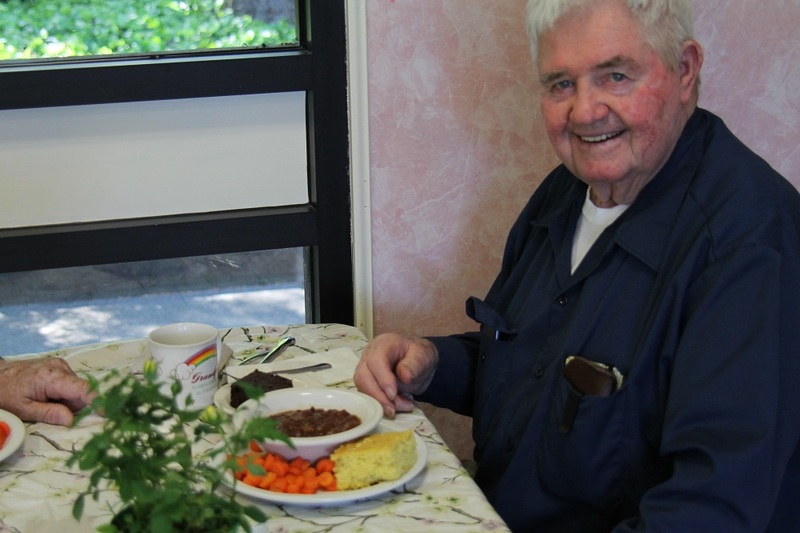 In 2015, Meals on Wheels delivered 105,600 meals throughout Napa County. No one is turned away and there is no fee to those we support. We believe that the guests served by The Table are members of our community whose well-being is a community concern. Our goal is to provide a nutritious meal to anyone who is hungry, to offer a clean, safe place to dine, and to treat all our guests with dignity and respect. The Table has served over 41,000 meals per year for the last 6 years, an average of 165 meals per day, and almost a million meals since it began after the Napa Flood of 1986. They mainly see working poor, who struggle from paycheck to paycheck in order to survive. The Napa Valley Culinary Training Academy was launched November 2016 by The Salvation Army of Napa. It is a jobs-training program in Napa County specifically designed to provide employable skills to adults engaged in recovery from addiction, trauma or homelessness – to lessen the likelihood of sliding back into a harmful lifestyle dependent on social services. Using a curriculum designed by the Culinary Institute of America, the Academy offers a path for those who have successfully overcome difficult challenges & are prepared to transition to a jobs-training program geared towards employment. As part of the curriculum, students are responsible for the Salvation Army’s feeding program which has grown dramatically since the start of the training program: nearly 1,400 meals weekly serving South Napa Shelter, Catholic Charities and lunch Monday through Friday at the Army’s Napa location. Food vouchers are distributed among programs throughout Napa County (such as Cope Family Center, Napa Emergency Women’s Services, American Canyon Family Resources Center, St. Vincent de Paul and Puertas Abiertas Community Resources Center) to help with crisis situations that need to be addressed immediately. Families that have no other alternatives can access the voucher program for food. Each year the Food Bank, Catholic Charities, The Table and American Canyon Family Resource Center work tirelessly to find turkeys for the Holiday Assistance Program. This program serves the poorest of our community and enables families to have a holiday meal. Due to the economic and housing crisis, this year we anticipate increasing numbers of individuals and families needing holiday baskets. In addition to supporting these organizations, the Safety Net Food Committee meets monthly to collaborate on the needs of all the food programs, including churches and non-profit organizations, that provide meals or food in Napa County in a variety of ways.